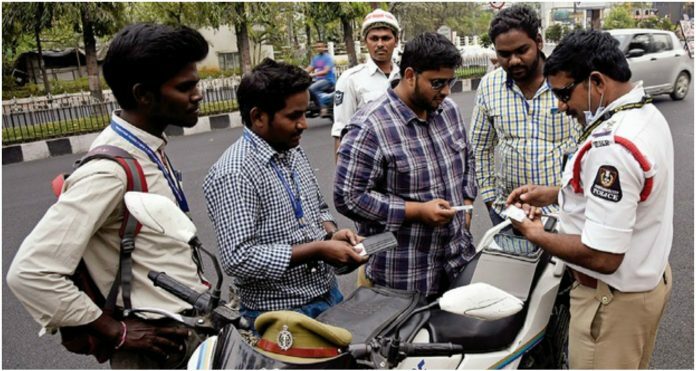 Indian Government is developing a new system to help drivers around the country. ‘DigiLocker’ to keep the soft copy of documents instead of carrying the license and registration books. This new system is set to launch in the coming few days by road transport and it ministries. Opening an account requires just an Aadhaar card and a mobile phone number which will be linked up to the account. This new service assists the government to maintain a countrywide registry of vehicles which can be accessed from anywhere in India. The documents can be uploaded in the DigiLocker setup which is much secured. Uploaded documents can be verified by law enforcement agencies and traffic police as the vehicular pass by a check post. This will also help police forces to apply penalty points and issue fine to drivers when found breaking the law. According to sources, the service enables spot verification for Driving License and Registration Certificates. “The verifying official needs to have the mobile app to check the authenticity of the soft documents. The IT ministry will launch the app soon,” says, a transport ministry official. DigiLocker service will have an app which displays all the information that an individual has on a smartphone. Officials will also be provided with an app based setup which will able to verify from a central registry. Telangana and Delhi could make more use of this service as these states are issuing e-challans with better internet connectivity. This could be considered as a good move to maintain the record of automobiles for catching violators. Hope this DigiLocker setup cut down bribe practices and police official makes proper use of this technology.